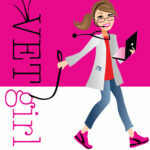 Today's VetGirl guest blog is thanks to David Liss, BA, RVT, VTS (ECC, SAIM), veterinary technician extraordinaire! It features some great content on a debunking some nursing myths. Follow him on Facebook here! 1. Myth: Partial parenteral nutrition therapy requires the placement of a central line. Reality: Partial parenteral nutrition can be administered via a peripheral catheter. It appears that the rate of mechanical complications with this method of administration is approximately 26-40%. Peripheral administration of parenteral nutrition is not devoid of complications. It appears that peripheral catheters will last approximately 36 hours, and are compatible with hyperosmolar parenteral solutions with an osmolarity ranging from 840 – 1350 mOsm/L. Complications including mechanical, septic, and metabolic, still occur. 2. Myth: Famotidine causes hemolysis in cats. Reality: Plumb’s 7th edition lists this as a possible idiosyncratic drug reaction reported only anecdotally. A 2008 study found no adverse effects from administering famotidine intravenously over 5 minutes. 3. Myth: Carbonated soda products and cranberry juice are effective at dissolving feeding tube diet clogs. Reality: Tap water and tap water + ¼ tsp pancreatic enzyme + 325 mg sodium bicarbonate are effective over any other anecdotal declogging liquid. A 2013 in vitro study created simulated diet clogs and subjected them to distilled and tap water, various amounts of pancreatic enzyme (with and without sodium bicarbonate), various soda products (Dr. Pepper, Mountain Dew, and Coca-Cola), cranberry juice, and other enzymatic products (papain, and bromelain). The pancreatic enzyme formulation (Viokase powder) with sodium bicarbonate/water was superior to all other products, with distilled and tap water right behind. 4. Myth: Heparinized saline flushes are mandatory to prevent clot formation in peripheral catheters. Reality: Many human studies have now found no benefit to heparinized saline solutions. A 2013 prospective randomized veterinary study additionally found no benefit in utilizing a 10 IU/mL heparin flush as compared with 0.9% saline. The saline flush maintained 18 gauge peripheral intravenous catheters in dogs up to 42 hours. 5. Myth: Fluid bags can be used indefinitely for intermittent intravenous fluid administration. Reality: A recent unpublished abstract identified light bacterial colonization of a hanging intravenous (IV) bag after three days of being spiked. This follows a 2011 paper documenting bacterial colonization of IV fluid bags after 30 days from initial puncture. The 2011 CDC Guidelines for the Prevention of Intravascular Catheter-Related Infections recommends changing administration sets of IV fluid bags every 72-96 hours, blood product or lipid infusion sets be changed every 12 hours, and propofol infusion sets should be changed every 6-12 hours. 6. Myth: Acepromazine is contraindicated as a sedative in patients with a history of seizure disorders because it decreases the seizure threshold. Reality: Three retrospective veterinary studies have examined whether the administration of acepromazine increases the incidence of seizures. A 2006 study found no seizures in 36 dogs with a seizure history up to 16 hours after administration and even reduced seizure activity in a few dogs. Another 2007 retrospective study found no correlation with acepromazine administration to dogs with an acute or chronic seizure history and additional seizure activity. Finally a 2012 study found no increase in seizure frequency post-myelogram in dogs premedicated with acepromazine prior to myelography. 7. Myth: Indirect blood pressure monitoring using oscillometric devices are as accurate as direct blood pressure methods in critically ill patients. Reality: Direct arterial blood pressure monitoring is considered the gold standard. Based on several laboratory and research studies oscillometric devices seem to overestimate blood pressure in hypotensive patients. Additionally, in 2013 a study evaluating a specific oscillometric monitor was only able to validate the mean arterial pressure and diastolic pressure values, the machine was not considered recommended for recording systolic pressure values. 8. Myth: Intermittent (bolus) feeding through feedings tubes is superior to constant infusion of enteral nutrition in hospitalized canine and feline patients. Reality: Intermittent (bolus) feeding and continuous infusion of enteral nutrition was found to have equivalent delivery of percentage of prescribed nutrition (PPND) in a 2010 study. It appears that administering enteral nutrition in a continuous manner is as effective as bolus feedings with no additional complications. 9. Myth: Pancreatitis is an absolute contraindication for providing early enteral nutrition in critically ill cats. Reality: A 2009 retrospective study identified 55 cats with suspected acute pancreatitis who received enteral nutrition via a nasogastric tube (NGT) after admission. The study reported a low incidence of diarrhea, vomiting, or mechanical problems. This study concluded that NGT feeding in feline patients with acute pancreatitis tolerated this method of feeding. 1. Chandler, ML and Payne-James, JJ. Prospective evaluation of a peripherally administered three-in-one parenteral nutrition product in dogs. J Small Animal Prac 2006;47:518-523. 2. Gajanayake, I, et al. Clinical experience with a lipid-free, ready-made parenteral nutrition solution in dogs: 70 cases. J Vet Emerg Crit Care 2013;23(3):305–313. 3. Chan, D et al. Retrospective evaluation of partial parenteral nutrition in dogs and cats. J Vet Intern Med. 2002;16(4):440-5. 4. Plumb, Donald C. Famotidine. In: Plumb, D. ed. Plumb’s Veterinary Drug Handbook. 7th edn. St. Louis: Wiley-Blackwell. 2011. 5. Trepanier, L and de Brito Galvao, F. Risk of hemolytic anemia with intravenous administration of famotidine to hospitalized cats. J Vet Intern Med. 2008;22(2):325-9. 6. Freeman, L and Parker, V. Comparison of various solutions to dissolve critical care diet clots. J Vet Emerg and Crit Care 2013;23(3):344–347. 7. Wang, R et al. Preservative-free 0.9% sodium chloride for flushing and locking peripheral intravenous access device: a prospective controlled trial. J Evid Based Med. 2012;5(4):205-8. 8. Cook, L et al. Heparinized saline vs normal saline for maintenance of intravenous access in neonates: an evidence-based practice change. Adv Neonatal Care. 2011;11(3):208-15. 10. Guillaumin, J et al. Influence of Hang Time on Bacterial Colonization of Intravenous Bags in a Veterinary Emergency and Critical Care Setting. J Vet Emerg Crit Care 2013;23(s1):S6. 11. Matthews, K and Taylor, D. Assessment of Sterility in Fluid Bags Maintained for Chronic Use. J Amer Assoc Lab Anim Sci 2011;50(5):708-712. 12. O’Grady, N et al. Guidelines for the prevention of intravascular catheter-related infections. Am J Infect Control. 2011;39(4 Suppl 1):S1-34. 13. Tobias, et al. A retrospective study on the use of acepromazine maleate in dogs with seizures. J Am Anim Hosp Assoc 2006;42(4):283-9. 14. Drynan, et al. Incidence of seizures associated with the use of acepromazine in dogs undergoing myelography. J Vet Emerg Crit Care. 2012; 22(2):262-6. 15. McConnell J, et al. Administration of acepromazine maleate to 31 dogs with a history of seizures. J Veterinary Emerg Crit Care 2007;17(3):262–267. 17. Acierno, M. et al. Measuring the level of agreement between directly measured blood pressure and pressure readings obtained with a veterinary-specific oscillometric unit in anesthetized dogs. J Vet Emerg Crit Care 2013;23(1):37–40. 18. Shih, A, et al. Evaluation of an indirect oscillometric blood pressure monitor in normotensive and hypotensive anesthetized dogs. J Vet Emerg Crit Care 2010;20(3):313–318. 19. Campbell, J et al. Continuous versus intermittent delivery of nutrition via nasoenteric feeding tubes in hospitalized canine and feline patients: 91 patients (2002-2007). J Vet Emerg Crit Care 2010;20(2):232-236. 20. Klaus, J et al. Nasogastric tube feeding in cats with suspected acute pancreatitis: 55 cases (2001-2006). J Vet Emerg Crit Care 2009;19(4):337-346. Blood product infusion sets every 12hrs? I’ve always assumed they should be discarded at around the 4hr mark after the transfusion has been administered. Good point. Most of the time in veterinary medicine, we are using intermittent blood transfusions products (e.g., hanging one unit of FFP). In these situations, you definitely want to finish the unit within a few hours (< 3-4 hours) and then throw away the filter.